Anyone who was a fan of the old "The Lone Ranger" television series will recognize that signature line, proclaimed by actor John Hart as he rode off into the sunset. Now, a piece of Western Americana history from that show has found a home at the Buffalo Bill Center of the West in Cody, Wyo. "The Lone Ranger" pistol has galloped into town and is on display at the Center's Cody Firearms Museum. 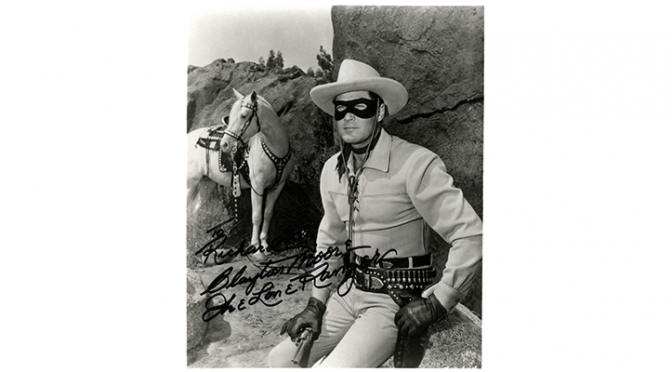 The infamous Lone Ranger, John Hart, carried the single-action army revolver, a Colt .45, as the masked man in the television series that ran between 1952 and 1954. Hart used several guns throughout his acting career, but the firearm's coverage engraving and steer-head ivory grips, which were completed by master engraver Ben Shostle, make this piece especially impressive. 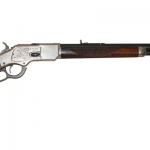 For any Western art aficionado or Lone Ranger fan, this gun is truly a must see. 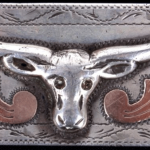 Warren Newman, the curator of the Buffalo Bill Center of the West's Cody Firearms Museum, said, "It's a beautiful gun, and the (Ben) Shostle engraving adds to the beauty." Hart was born in California and worked on cattle ranches as a young man. His first acting gig was in the 1937 movie "Daughter of Shanghai." He was known for his roles in nearly 30 Hollywood movies and television shows between 1932 and 1987. Although Hart held many minor roles in some fairly well-known films, audiences remember him most for his part playing The Lone Ranger for two seasons (he replaced Clayton Moore in 1952 when Moore demanded a higher salary). The television series ran for eight seasons and also featured Jay Silverheels as the Lone Ranger's reliable Indian sidekick, Tonto. A history of "The Lone Ranger"
The television show was inspired by a radio series that aired in 1933. Nearly 3,000 radio episodes of the Lone Ranger were produced, and the series was reportedly based on a character in writer Zane Grey's 1915 book "The Lone Star Ranger." Other media was inspired by the heroic lawman, spawning a video game, comic books, action figures, novels and a comic strip. One interesting bit of trivia about John Hart's role as the cowboy was that even though he only appeared in the television show for one year, he reprised his Lone Ranger role in the series "Happy Days" 1982 when the Fonzie met his childhood hero. Hart's stint on the popular Western show was brief, but it was enough to drive up the value of the firearms he owned. 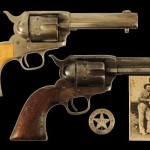 The Cody Firearms Museum in Wyoming acquired Hart's pistol at auction in October for $18,150. Curator Newman wouldn't confirm the price, but said the museum hopes the pistol will prove popular with visitors. 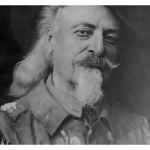 The museum also acquired autographed photos of Hart in his iconic costume along with the revolver, as well as an unusual and collectible cookbook called "Cowboys in the Kitchen" that Hart wrote in the 1990s. The book contains hunting advice, Hollywood tales and even a section dedicated to "women and liquor." The items are on display in the Cody Firearms Museum's Hollywood Guns exhibit. 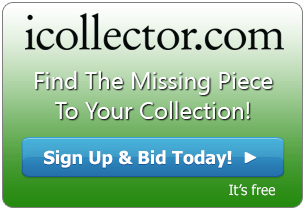 Collectors interested in adding to their own caches of Western memorabilia can visit iCollector for a wide variety of auctions to choose from! Check back daily for new additions.